Bangkok (VNA/NNT) - The Stock Exchange of Thailand (SET) is holding the Thailand Investment Fest 2017 to share innovations by a new generation of investors. 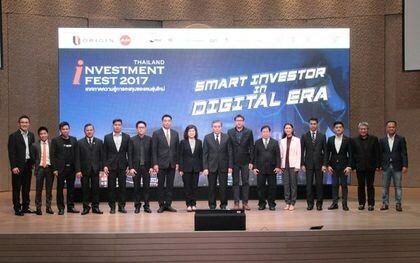 Thai Finance Minister Apisak Tantivorawong chaired the second Thailand Investment Fest, themed “Smart Investor in Digital Era”, on August 7. He said technology has changed how people do business, in terms of networking, advertising, accounting, and investing. Modern technologies have brought new conveniences and require that entrepreneurs adapt accordingly. The minister affirmed that the government intends to support people in developing themselves towards its vision of a digital economy and the Thailand 4.0 development agenda. According to Apisak, financial technology or fintech has already been in development for some time. Commercial banks have begun providing online services, with e-payment, bitcoin trading, crowdfunding and AI trading on the horizon. The minister urged stock markets, brokers and investors to change with the times.